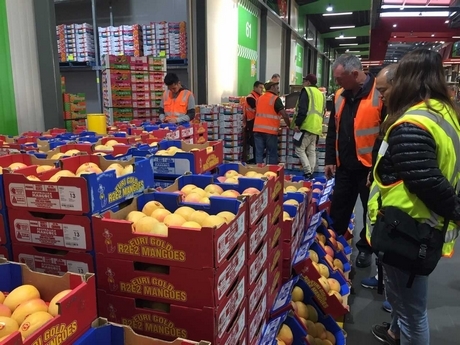 Due to an increase in demand, the company which provides tours at the Melbourne wholesale markets has recently expanded its services to provide a more specialised experience for visitors. Jan Claire operates "C the Market" tours and says she is now seeing many younger entrepreneurial people who have no experience in the fresh produce industry, entering the market as retailers or importers. "They need guidance and support to understand the local market and we’re a good starting point for them," Ms Claire said. 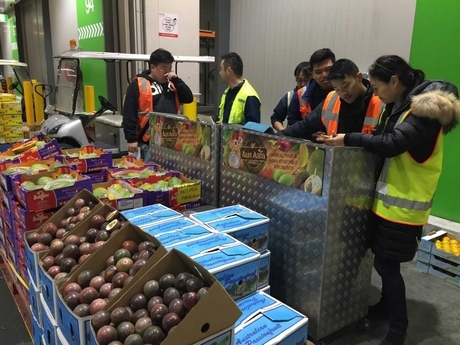 "One of the biggest differences we’re seeing from earlier years, when many who joined the fresh produce industry came through family connections or employment in the sector, now most of the visitors who use our tour service have never traded fresh fruit or vegetables in Melbourne or anywhere else. They are facing a huge learning curve. We see our role as helping them get started." With previous experience as a tour guide, Ms Claire started working for the previous tour operators in 2006, at the old facility in West Melbourne. She started C the Market in 2010 when given the opportunity to take over the tour operator’s contract. "The tour business has undergone a huge change," she said. 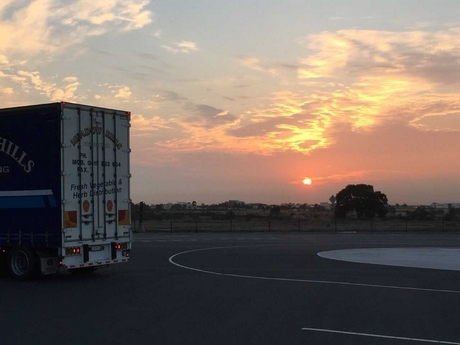 "From being a drive-thru early morning experience of the trading market, it’s now a partial consultancy business with our tour offering visitors their first experience of the wholesale distribution of fresh produce in Melbourne. 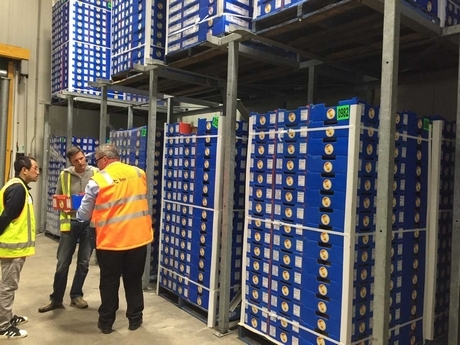 Those in industry and particularly those entering the retail, wholesale or export segments of the fruit, vegetable or flower industries use the tour to have the market operations explained, showcased and be introduced to the traders most relevant to their business requirements." While it is possible to visit the Melbourne Market without a tour, Ms Claire says those that take part realise it is a time-effective way to find out how everything works at this particular market. "The Melbourne Market is closed to the public. So, for Occupational Health and Safety (OH&S) reasons, and to enable those trading at the market to trade efficiently, outside visitors are limited and must remain with their host and be escorted at all times during their time on site," Ms Claire said. "Some of the traders enlist our tour service to look after their own visitors but most of our Private Tours are people who don’t know the fruit and vegetable Industry in Melbourne. They often want a guided experience and personal introductions to those most likely to further their own business interests." She adds that she tailors all tours to the specific visitor. If someone wants to export, for example, they are introduced to all the businesses that can facilitate that, or if a visitor is a new retailer, they are introduced to possible suppliers and businesses that can offer advice and support as they establish themselves. "Most of the traders have around 40 years of trading experience at Melbourne Market, if not generational experience, and what they don’t know is probably not worth knowing," Ms Claire said. "I see my role as enabling my visitors to find and meet the people that they need to meet and start them on their trading journey. The feedback we get after the tour is always positive. Even those with no fruit and vegetable trading experience often come from some type of business background so understand and appreciate the value of the introductions and contacts we facilitate. " Ms Claire has now been on site at the market hosting tours for over 12 years and during that time has developed strong relationships with the traders, staff and businesses at the market. "For the tour participants, and generally in business, often the struggle with a new venture is to know who might help us, want to engage with us or be most relevant to our own business needs," she said. "It’s frustrating to spend a lot of time and energy forming relationships that have no purpose. I see part of my role as tour guide on the Private Tour as matching relevant people and businesses. The market continues to change and evolve, especially since the move to Epping. Businesses reluctant to change their operations didn’t make the move and took the opportunity to sell up." One of the major changes C the Market has seen is the emergence of technology, which has allowed many traders to improve efficiency - and buyers no longer need to make all purchases on the trading floor. "It’s not unusual for the majority of business conducted on a trade morning to be buyers ordering via email or text only," she said. "Trade now starts on the trading floor at 3.30am every weekday morning and by 7.00am is almost finished throughout the market. This contrasts with just four years ago when many buyers would still be looking at what was for sale and making purchasing decisions at 8.00am. When I first started at the market, I was in the minority in that I didn’t have a direct family contact to any trader and hadn’t worked with fresh produce from a supply perspective. In the past couple of years, I have seldom met anyone starting a new fresh produce business that already knows anyone at the market. Possibly if they did, they wouldn’t need our service."